FlashFXP is a reliable and powerful FTP client for Windows, used to transfer or backup files between your local computer and a remote server, or directly between two servers. FlashFXP supports all the file transfer standards you need: FTP, SFTP (SSH File Transfer Protocol), FTPS, site-to-site transfers (FXP), SSL site-to-site transfers (SSCN) and more. 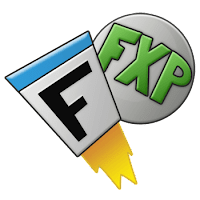 Disclaimer: Direct downloads for the lastest version of FlashFXP 5.4.0.3970 are provided by the official software's author, we can't guarantee safety, availability or download speed. Moreover, we don't and we won't provide any pirated/illegal versions or tools. We recommend you to avoid it as these methods can harm your device. If you like the software, buy it to support the developers. (We provide software discounts for many worldwide brands).